In a rare case, a three-and-a-half-year-old obese girl in the US has become the youngest person to be diagnosed with type 2 diabetes. The girl, from a Hispanic family, was diagnosed when she was admitted to a clinic in Texas because she was obese. She had symptoms of excessive urination and thirst, however her past medical history was unremarkable. She was born full term with a weight of 3.2 kg. Although both parents were obese, there was no history of diabetes. A review of the child’s diet showed poor family nutritional habits with uncontrolled counting of calories and fat. On physical examination, the child’s weight was 35 kg (in the top 5 per cent of all children her age), and her height and BMI were also in the top 5 per cent of all children her age. She underwent tests to rule out other potential causes of her obesity and weight gain, and laboratory tests showed her to have high fasting plasma glucose and glycated hemoglobin (HbA1c). However she tested negative for antibodies that could signal type 1 diabetes. “Based on symptoms, physical findings of obesity and laboratory results the diagnosis of type 2 diabetes was made,” said Michael Yafi from University of Texas Health Science Center at Houston. The girl was started on a liquid version of the diabetes drug metformin (500 mg daily). Diabetes and nutritional education were given to her parents, and the medical team asked the family to implement lifestyle modification by controlling their food portions and total calorie intake, and increasing the child’s physical activity. The girl then lost weight that led to normalisation of blood glucose levels. The metformin therapy was decreased by 50 per cent each month, and then stopped. Six months after diagnosis, the girl was at 75 per cent of the weight she had been when she presented for treatment, had normal blood glucose levels, an HbA1c of 5.3 per cent and had stopped metformin therapy. “Clinicians should be aware of the possibility of type 2 diabetes even in very young obese children, although of course type 1 diabetes can also still occur in obese children and is in fact much more common in young children than type 2 diabetes,” he said. 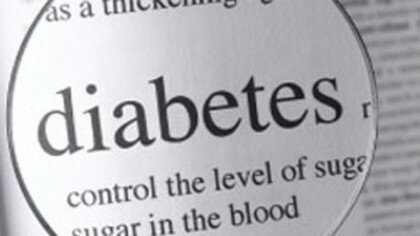 The case was presented at the European Association for the Study of Diabetes in Stockholm.